Enjoy Lisbon’s happy hour all week long! A special offer to add some excitement to your afternoon in one of the coolest cities in Europe. 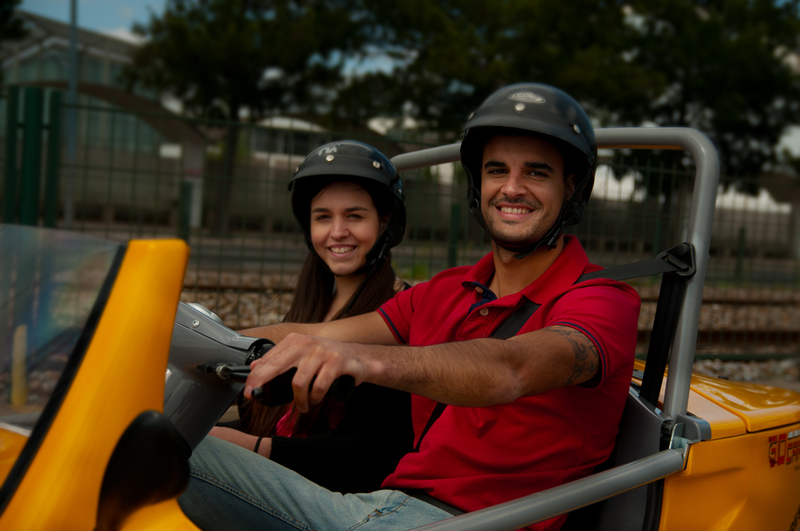 The regular price for renting a GoCar for just 1h would be €35,00, but if you pick up the yellow car during the afternoon at either 15h30 or 16h30 you’ll be lucky enough to enjoy the special price of €30,00, just as long as you bring it back to our store by 17h30 at the latest! 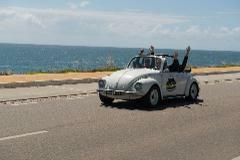 By far, the funniest way to explore Lisbon’s landmarks is by GoCar. As soon as you start the engine, you’ll understand the joy of driving these eccentric yellow vehicles through Lisbon hills and narrow streets. The vehicles have GPS incorporated and a recorded narrator, so you won’t have to think twice about which turn you need to take. You’ll be able to discover Lisbon’s highlights, historical facts and funny curiosities. You just need to choose from 3 of our different itineraries and tour lengths! Saramago Foundation, the Fado Museum, the National Pantheon, the flea market area (which takes place every Tuesday and Saturday), the Graça Church and Convent (and its viewpoint), the Portas do Sol and Santa Luzia viewpoints and the Lisbon Cathedral. The Red Route lasts 1h / 1h30 and covers the entire area of Lisbon downtown. This tour takes you through some of the most emblematic monuments and places in town, including: Santa Justa lift, the Rossio Square, the Dona Maria II National Theatre, the Carmo Church and Convent, the Camões Square and S. Pedro de Alcântara viewpoint, Príncipe Real Garden, the Amália Rodrigues House Museum and Cais do Sodré area along the riverside. This journey along the river till the monumentality of Belém lasts approximately 2 hours. This tour takes you through some of the most emblematic monuments and places including: The National Museum of Ancient Art, the “Fundação Oriente”, “Cordoaria Nacional”, the Jerónimos Monastery, Champalimaud Foundation, the Belém Tower, the Monument to the Discoveries, the Electricity Museum, the MAAT and the superb Comércio Square. NOTE: This tour’s length may vary due to circumstances such as departure time and location, traffic and your itinerary. If you are unsure of which tour to book, just book according to the amount of time you think you’d like to spend. We can suggest what tour options to take with the sights you want to include, when you come into our shop. If you don’t manage to bring the GoCar back by 17h30 don’t worry, as it’s not the end of the world! You will simply be charged the regular rate instead of the special rate. Explore the streets of Lisbon aboard an irreverent vehicle. Discover emblematic places and monuments in the city, apart from the traditional touristic circuits. Follow the GPS audio guide autonomously. See more than you would see on a sightseeing tour. Choose one of our circuits or experience the city your way, with the route you prefer. €100,00 deposit, in cash or credit card. 24 hours before the booked starting time.